Welcome to the new VMSMA website. Just like many advertisements for a reformulated product or a new item launch, I’d like to say this is “new and improved.” Unlike those advertisements, I feel like this lives up to the lofty phrasing of “new and improved.” Working with our partners at Eternity, we're very excited to begin the next phase of VermontMaple.org! The most obvious changes are the greater importance of photography on the site and the clean, somewhat minimal appearance of the site’s main features and navigation. Maple syrup production is a highly visual form of agriculture and food production, with many levels of depth. 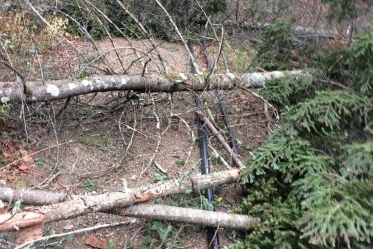 For example, the sugarbush itself can be viewed as a picturesque hillside across a valley or, on a macro-level, the spout in a tree can itself tell an important story. Everything in between, whether it is the sun filtering through the summer leaf canopy, the colorful imagery of autumn in Vermont, or the elaborate tubing systems standing in sharp relief to the natural landscape, maple syrup can be highly visual. Our new site better allows us the ability to demonstrate that and we expect to take full advantage of that. One of the great challenges of a site for an organization like VMSMA is that the website serves two distinct audiences: our members, who are maple syrup producers, and the public who enjoy maple syrup and wants more information about syrup, the process and producers, and recipes. Unlike past iterations of the site, we’re making it simpler to navigate the site for those two different groups. Producers will find the content they need all within the For Sugarmakers section and VMSMA members can find the Log In button in the upper-right corner of the site from any page. Once a member is logged in, pages that contain association documents like Board minutes, financial reports, and more can be found. Those who are visiting the site for more general maple-related information will also find the navigation and content improved. Visitors will find a better directory of our members, easily selecting the product, or products, they wish to purchase and instantly narrowing the results. The new directory loads on the site much more quickly, improving the user experience tremendously. Recipes are now tagged according to key ingredients and course, allowing for better searching of our recipes. News and Events are also much improved, providing more useful information in both sections. Pulling together pieces of topical news as well as blog posts, the News section will offer visitors a peek into the maple industry and a window into the unique businesses and stories of VMSMA members. Our old site was not optimized and visiting the site on a mobile device was difficult. With more users accessing the internet with mobile devices rather than a desktop, optimizing the VMSMA site was long overdue. Having the site fully-optimized will allow visitors to see the site properly no matter what device they are using, be it a PC, tablet, or phone. 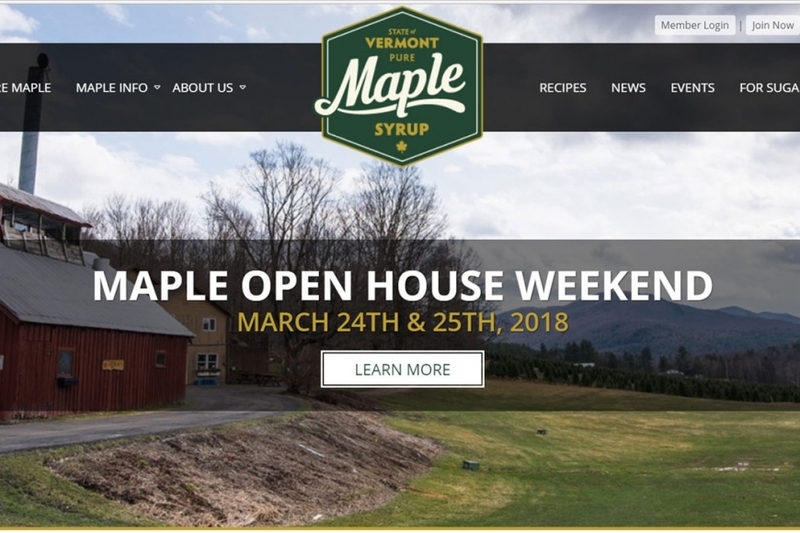 Tying these changes together is the use of new branding for Vermont Maple Syrup which is now being used on the website, social media, maple syrup bottles, and printed promotional items. The updated look, seen in the logo in the main navigation menu at the top of the site and in the Membership Seal to the left, serves to reintroduce Vermont Maple to our customers through a modern, vaguely retro, design that provides a unifying appearance across all channels. We hope you enjoy the new site! Vermont Maple Syrup is still the same, great product it always has been. 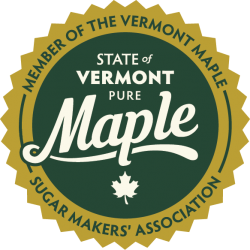 Now we have a site that matches the excellence of the maple syrup made by Vermont sugar makers.